The Communications Center is the central dispatch facility serving all of the Sheriff’s Office field personnel, investigators, and specialty units. Additionally, the Sheriff’s public safety telecommunicators provide 9-1-1 call and dispatch services to the cities of Cape Canaveral, Melbourne Beach, Melbourne Village and West Melbourne. The Communications Center operates with a staff of 42 highly trained and specially qualified personnel. 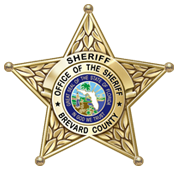 All 9-1-1 public safety telecommunicators employed by the Brevard County Sheriff’s Office have met the requirements of Florida Statute 401.465 and are certified by the State of Florida. Communications is the nerve center by which our citizens request emergency law enforcement response and community assistance. Communications is divided into two main functions, call intake and dispatch. Your 911 operators are all cross trained in all areas of emergency communications functions and crises intervention. In 2016, the Communications Center answered a total of 464,358 calls with 116,707 of those calls being 911 calls. 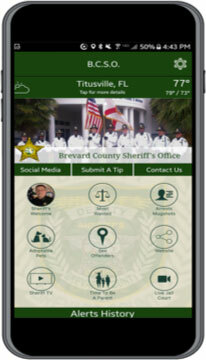 During that same time period, the Sheriff’s Communications dispatched over 203,300 calls to Sheriff’s Office units, and an additional 34,477 calls for the Cities of West Melbourne, Melbourne Village, and Melbourne Beach.